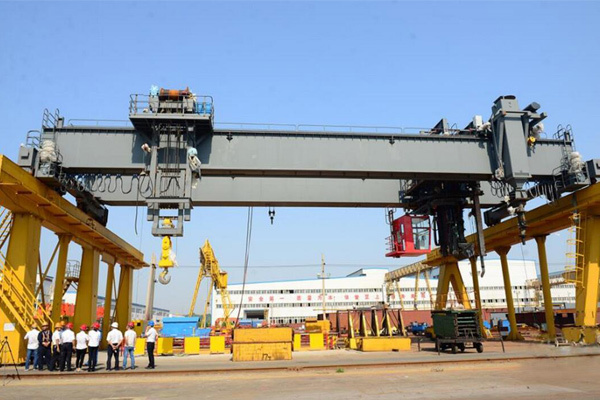 Recently, the electrolytic aluminum multifunctional crane made for Guangxi Laibin Yinhai Aluminum Co., Ltd. was checked and accepted successfully. The crane, all parts and functions run well, which had been highly recognized by customers and successfully delivered on June 8, 2017. Guangxi Laibin Yinhai Aluminum Co., Ltd. was established in December 2006, is a key project of the Guangxi Autonomous Region, which is also the leading project to build Guangxi and even the national aluminum deep processing base. 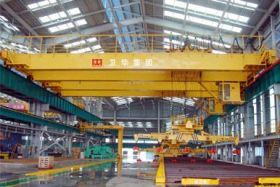 Electrolytic aluminum multifunctional crane is the key equipment in the production of electrolytic aluminum, which can carry out the process of shelling, anode replacement, fishing residue, feeding, aluminum discharging and other process operations. It has complex structure, multiple function, and with hydraulic, pneumatic and other subject knowledge. In the design phase, our company set up a special technical team carrying out a greater breakthrough in the key technology among which the slagging mechanism uses a double cylinder drive. This crane has big under pressure of the grab, easy maintenance. 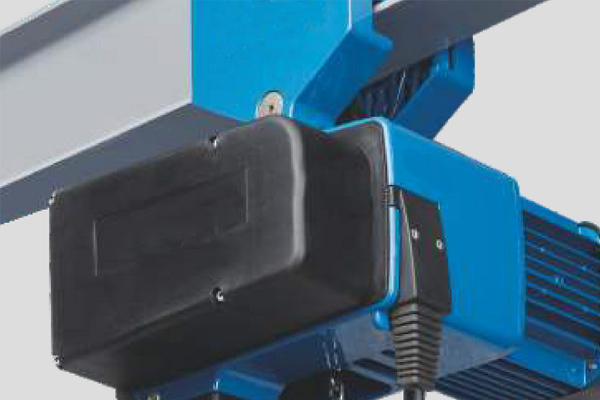 The screw motor to replace the anode body is directly installed in the screw head frame. We cancel the spline drive shaft and cross coupling, reducing the failures and enhancing the torque. Shelling mechanism using four-link pole and the rear dual-cylinder drive structure can achieve hit electrolytic shell seam, while enhancing the structural strength. Slag body is set in the main rotary frame, which rotates with the main rotation, easy to grab the slag. In the product process, the Ministry of Technology made detailed research on the design drawings for detailed cutting, welding, machining, assembly and other technology programs, and made full use of welding platform, special process tooling, tailored heat treatment and machining to ensure the manufacturing process accuracy. In the production stage, engineers and technical staff timely solved the problems encountered in the production process, the team workers actively learn the drawings, overcome difficulties to ensure product quality. The Guangxi Laibin Yinhai Aluminum project contains a total of 10 electrolytic aluminum multifunctional cranes. The successful completion of the first crane in the project is inseparable from the leadership's attention and the joint efforts of all the staff of the project team. 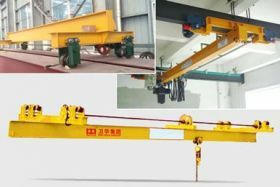 The crane has made a breakthrough in technology and has successfully laid the foundation for the production of follow-up products and further enriched the Manufacturing experience in the field of dedicated crane for aluminum industry.